If you are working on customized CMS or Social networking website then user profile image may be or may not be a head ache I have developed my own where we can upload and rename the image username.jpg/png/gif with size restriction to 200KB. 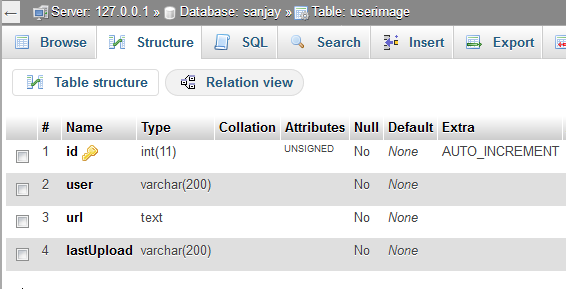 First design a table where database name is Sanjay. lastUpload- when the upload was done. 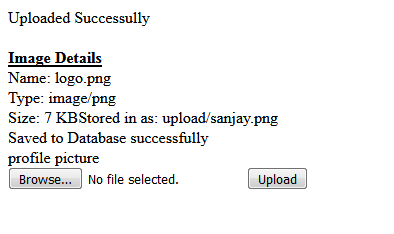 Create a folder upload/ where all images will stored. Hope You will understand this simple script. download Zip file extract and save it to htdocs folder , if using Linux set permission . 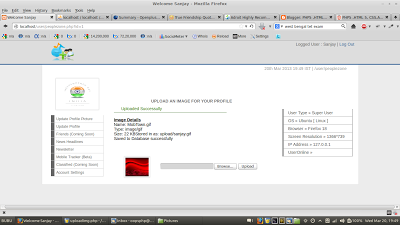 open phpmyadmin and create a database sanjay_plus now import sql . 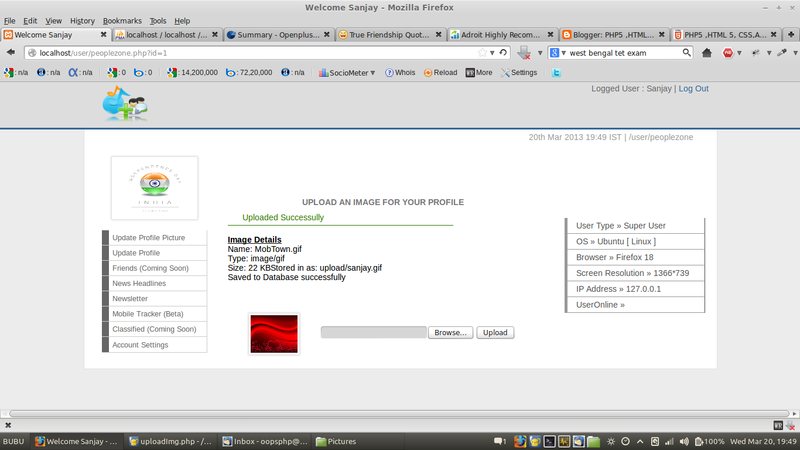 Now we can login using username sanjay password openplus.in. what are the rows inside your sanjay? does it includes the username and password? How to show the image in user profile? Very clear and helpful for beginners. Great job you did here! A html tutorials that covers all the basics of html with examples and helps to learn html for Beginners Online. i just want to say a million thanks 4 your script. sir the image upload success mesg is displayed but image not change what is the problem..
Hello Jimmy tested profileimg.php,its working, sent a screen shot, error may be due to corrupt wampp or you havn’t created a row with user Txchaser, first create a row where user=Txchaser, url =leave blank,then try it will work or share you database …, use xampp better then wamp.